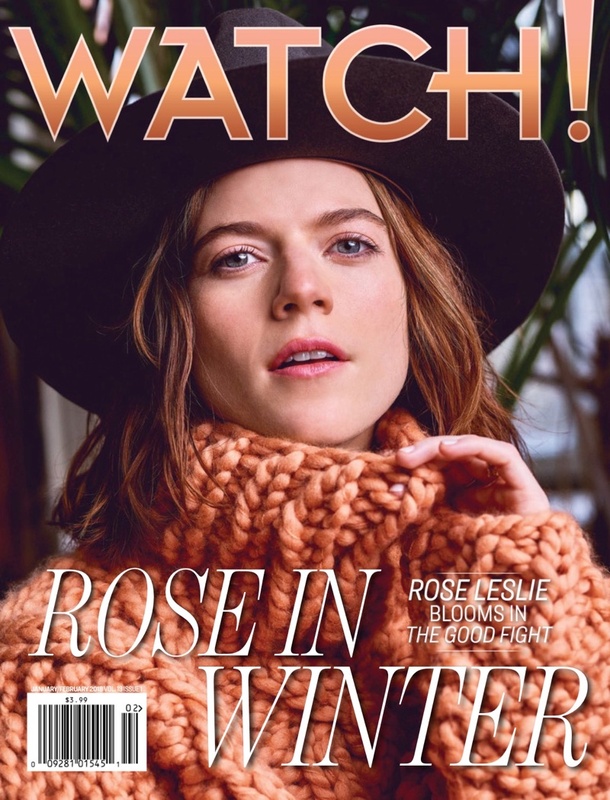 Actress Rose Leslie looks ready for her closeup on the January-February 2018 cover of Watch! Magazine. Photographed by Christopher Ross, the redhead wears a Nick Fouquet hat with an orange Loopy Mango sweater. 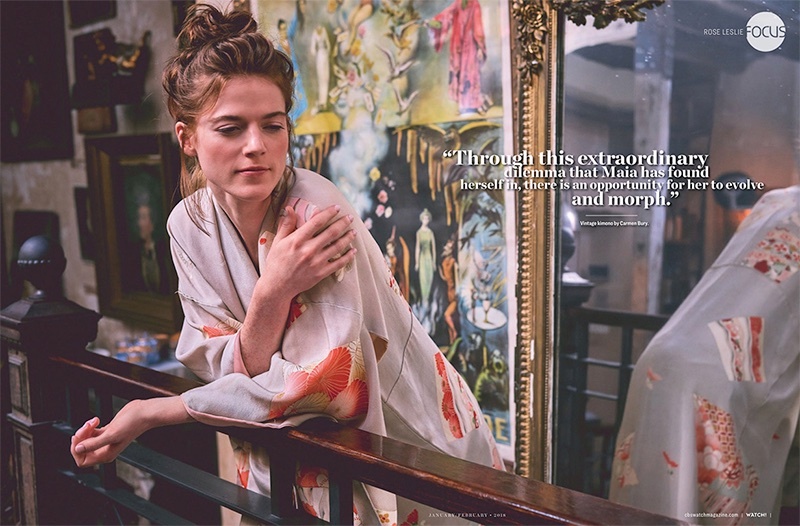 Inside the publication, Rose embraces elegant styles for the magazine spread. 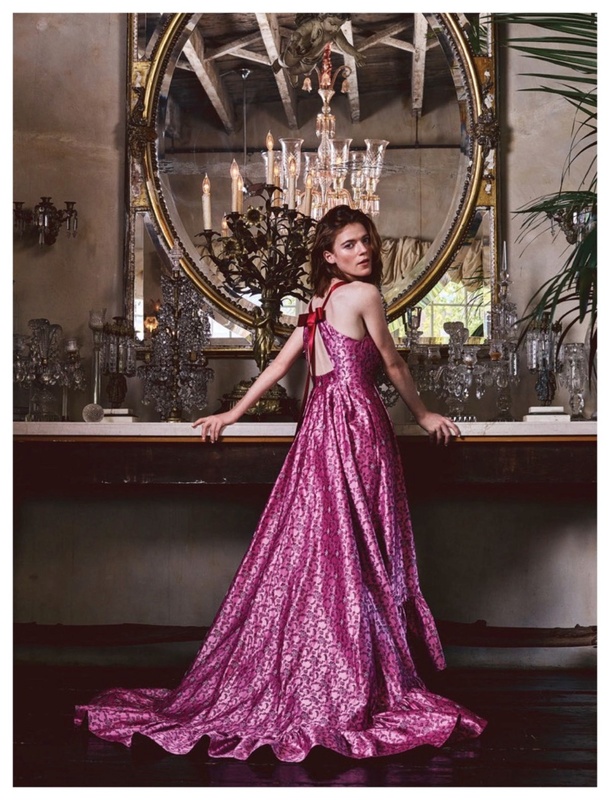 Stylist Sasha Charnin Morrison dresses the 30-year-old in the designs of Free People, Erdem, Missoni and more.